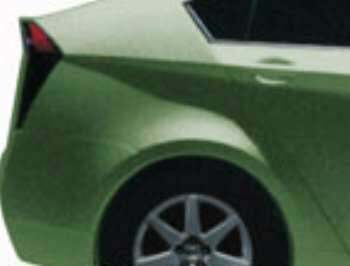 Thus spake Inside Line: Here's a shot of a proto Prius that could hearken the 2009 model. Apparently it's one of three designs Toyota's considering, and isn't likely the one chosen. The '09 will be more conservatively penned, says IL, much like the Hybrid X concept shown in Geneva this past March. Toyota's still on track to bring down production costs while improving observed mileage significantly. Both of those selling points it needs to offset its ineligibility for a tax refund (tax relief is only offered on the first 60,000 models sold). No word on a plug-in either.